Both large and small businesses benefit from cutting costs and saving money, even in the smallest ways. Everything from cars to computers to cereals are more expensive, meaning that sometimes your best option is to cut the fat wherever you can. By avoiding costly items and decisions, you can increase your profits, stop hemorrhaging money, and even afford bonuses and raises for good employees. Paper products are expensive, but printer paper and business cards aren’t the biggest money-suckers. While it’s a good idea to stem that flow by going green and taking everything online, your biggest losses will come from stamps, envelopes, and shipping costs. The cost of shipping is up by as much as 4.9 percent, meaning that every item you ship out costs big. Adding to that, stamps are now $0.44 and a standard envelope is about $1.69. You can’t stop shipping if that’s part of your business but you can start trying to recycle packing paper. You can also invest in a postage machine for the office, so you’ll never spend more on stamps than you actually need. 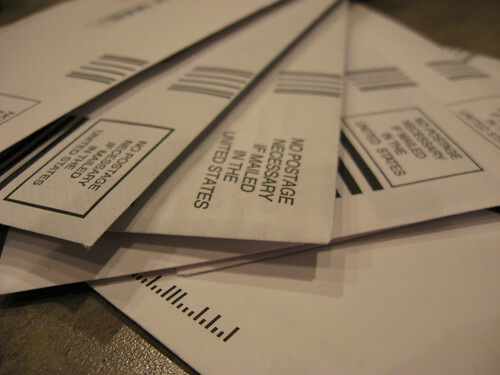 Wherever you can go green, do so; business cards, newsletters, and coupons should go paperless. You need phones and computers to successfully run your business; it doesn’t matter what you do. If, however, you’re spending all your money on the latest, greatest computers, software programs, and smartphones, you’re wasting valuable resources. When it’s time to get new computers or get a new contract, stop and think. Instead of buying all new desktops or expensive laptops, turn to netbooks. They’re small, efficient, and ideal for businesses that won’t keep a lot of superfluous programs on them. Rather than renewing a contract and upgrading to the newest phone, get a pay-as-you-go. They’re just as high-tech but cost less. Would you ever leave the lights burning in your home? Would you go to bed at night without checking to make sure the computers were off, the lights were out, and the heat was at a steady, energy-efficient temperature? Lots of business owners skip those habits in their offices. If that’s one of your bad habits as well, your money is probably flying out right along with that wasted electricity. It’s both financially and environmentally inefficient. While making a conscious effort to shut down everything when you leave, make some changes as well. Switch to energy-saving light bulbs and think about making a one-time purchase for environmentally friendly appliances. In addition to keeping a close eye on where your money’s going, you need to comparison shop for everything. A going-over of your finances might just find that you’re routinely late on credit or loan payments, for instance, which lead to growing interest costs. Think about getting caught up all at once by checking out Liquid Loans how-to, where you might find that a one-time cash advance gets you caught up completely. As you’re going over the details, make sure your vendors give you the best prices. If they don’t, ask about how you can save or simply start shopping for new vendors. You may also discover that there are costs you can ditch entirely. You’re trying to make money for yourself and your employees, and small changes can radically increase your profits. Where do you think you waste the most money?